Due to an increase in globalization and the fact that mobility between the countries have improved, companies are now days found to operate at an international level. One of the major tasks that the organizations, which operate across international boundaries, have to perform is to manage the dissimilar stresses between the drive for differentiation on one hand and segregation on the other hand. In brief it can be said that the activities that are performed by MGT307 International Human Resource Management assessment (hereto referred as IHRM) is similar to domestic HRM however the point of difference between these two lies in the fact that where as domestic HRM is concentrated in one nation, activities of IHRM involves several nations. IHRM thus can be referred to as a branch of management studies that tries to examine the effect and design of human resource practices in cross cultural context. Theoretical studies reveal that there is interplay of three different divisions within IHRM. These three divisions are the HR activities, the different countries in which the organization operates and types of people that the organization employs. The HR activities are similar between domestic HRM and IHRM. Thus, the point of difference between these two lies in the types of people employed and the different countries in which the organization operates. The following essay analyzes the importance and challenges of integrating organizational strategy with the functions of IHRM. In a multinational organization, it is seen that the human resource plays a strategic role. The manager of human resource in an international business acts as both strategic partner and decision making of the organization. The activities of the human resource team at the international level are similar to those at the domestic level. The points at which the IHRM differs from domestic HRM are the types of people who work in the organization and the countries in which the organization operates (Farndale, Scullion and Sparrow, 2010). IHRM can be defined as the study and application of all the activities of human resource management as these impact the process of managing human resources in the enterprises in a context that is global. This refers to a set of activities, processes and functions that are actually developed for facilitating the process of attraction, maintenance and development of human resource at multinational organization. It can be defined as the sum of human resource management activities that are taken at home and in overseas locations. The literature concerning HR has been found to be abundant while providing typologies of roles played by HR professionals in different organizations. These typologies talk about the change in nature of HRM over time. These typologies also speak of the context in which work was carried out. Similarly, in the context of increasing internationalization of firms it can be seen that modern day typologies related to HRM has varied with the scope of internationalization. In the context of increased industrialization of MNC, setting issues that find prominence are standardization, shared learning and coordination versus a push for adapting to greater levels of customization (Sparrow, Farndale and Scullion, 2013). These issues find their presence at corporate, local regional and national levels. It is thus found that HR practitioners find themselves at the middle of interplay between centralization and decentralization on one hand and standardization vs. customization on the other hand. Managers of human resource in case of multinational organization have to take into account the international influence to their work. A significant role is played by IHRM while trying to provide solution to the global issues faced by MNC. IHRM is sometimes referred to as an extension of HR activities and is found to be related to the people who are working abroad. These staffs can either include staff from a third country that are neither from home nor from parent country or might refer to expatriate staffs that are recruited from home countries. Examples of organizations where this is found to work includes those that have a small office abroad, to public sector organizations having international presence, or multinational companies, or in some cases international NGOs that operate in different places across the world. Organizations which work in a joint partnership with a foreign organization or a local organization that has few offices overseas are also encompassed in the definition of such organizations. One of the major constraints on the speed at which the sales of multinational companies expand is the scarcity of qualified managers. The growth of society that is knowledge based along with pressure to open newer markets, has led to the fact that the cutting edge global companies now recognize the importance of human resource and intellectual capital as similar in significance along with financial assets for building competitive advantage that is sustainable. In order to be able to follow the lead it is required that the chief executives of multinational companies be able to bridge the widening gap of rhetoric and reality regarding the human resource. In this regards it is required that the human resource is given a permanent seat in the boardrooms of the companies (Jiang, Lepak, Hu and Baer, 2012). Good HR management in case of multinational companies comes down to the ability of putting right people at the right jobs in right places at right costs and at right times. The international managers should be meshed into a cohesive network such that they are able to quickly identify and leverage good ideas. It is important to ensure the continuity of executives for an integrated network to progress. Thus career management forms an important part in this case to ensure that there is ready availability of qualified managers readily at the occurrence of vacancies worldwide and to ensure that the qualified managers do not move to other companies as their qualities haven’t been recognized (Farndale, Paauwe, Morris, Stahl, Stiles, Trevor and Wright, 2010). However, it is a bit saddening to note that there are very few companies who ever manage to come close to be able to achieve this. In case of most multinational companies, it is seen that there is a dearth of leadership capital which is required to effectively perform in all the overseas markets. One of the reasons behind this is the fact that there is a lack of managerial mobility (Wright and McMahan, 2011). Neither the companies nor the individuals seem to understand that there is a role to be played by managerial mobility in trying to marry HR strategy with the strategy of the businesses and ensuring the fact that there is development of careers for the purpose of both profitability and employability. Another important reason behind the lack of qualified leadership across all markets in which the company operates is ethnocentricity. In case of most multinational companies, it is observed that the HR developmental policies are concentrated on the development of nationals from the country where headquarters are located (Scullion and Collings, 2011). In case of local stars, it was seen that only those who were brightest were given the requisite skills in career management and overseas assignments that were necessary for the development of an international mindset. In case of most multinational companies, it is noted that the CEOs lack confidence in the HR’s ability to screen, review and develop the employees so that they are able to fill those posts across the globe, which are most important. This comes from the fact that directors of HR are found to lack in overseas experience and it seen that there is a lack of business knowledge in the HR managers. The information about the biggest candidates who are rising through the ranks of the overseas subsidiary is seen to be lacking in the HR directors. It is also found that the managers of the HR function lack a commitment towards the value of experience at a multinational company. This lack of multicultural-managerial talent has resulted in the loss of profits for the company through high attrition rates, stagnant market forces, high costs of training, failure of the joint ventures and the high amount of opportunity costs that is associated with bad selection of managers across the globe (Guest, 2011). It is also seen that one of the most important challenges that are faced by the new multinational companies is to find trustworthy managers for global markets. This is true for range of companies across the technology spectrum. The newly globalised companies are found to be under pressure to do away with the trial and error approach in trying to develop a cadre of global managers to shorten the lead-time as compared to the larger and more established multinational companies. However, they are found to be clueless while trying to do this. In this case the solution can be found through emulation of the companies that are known to have decades of experience in training, recruiting and retaining good employees in various countries across the globe (Lengnick-Hall, Beck and Lengnick-Hall, 2011). For instance as a source of competitive advantage, it is seen that both IBM and Unilever manage their HR functions globally. Unilever for instance is found to be one of the companies that have long set a high priority on the human resource function. There is a seat of HR at the executive committee of the board. The organization also has a focus on developing internal talents and in all market that it operates; it is found to hothouse future leaders. Because of these innovative strategies, it is found that 95% of the leaders at Unilever are homegrown. Managers are able to learn about internationalization through job content and international assignment. 75% of its managerial post has been redefined as international since 1989 and the numbers of managers who are assigned abroad have been doubled (Quelch and Bloom, 2016). On the other hand, it was seen in case of IBM, which has been operating in overseas market for more than 80 years, that there was a change in the HR policy in 1995 so that the company was in a better position to respond to a new business strategy and global gestalt. Instead of trying to cut jobs abroad to reduce costs, IBM is seen to change its focus towards needs of the customers and overseas assignments (Quelch and Bloom, 2016). This is in line with the company’s viewpoint that it is a global service business and it is the people that the customers buy from IBM. Whenever managers are found to sign in with any of these companies, the immediately seem to know that an important part of their deal for climbing high up on the corporate ladder is overseas assignments. There are international databases that are managed by these multinational companies, which can be leveraged to find the choice of candidates who are grade a listed for a particular assignment. Thus in order to achieve the success that they wish to have in international markets it is required that the budding multinational companies should try and emulate the footsteps of these multinational companies. 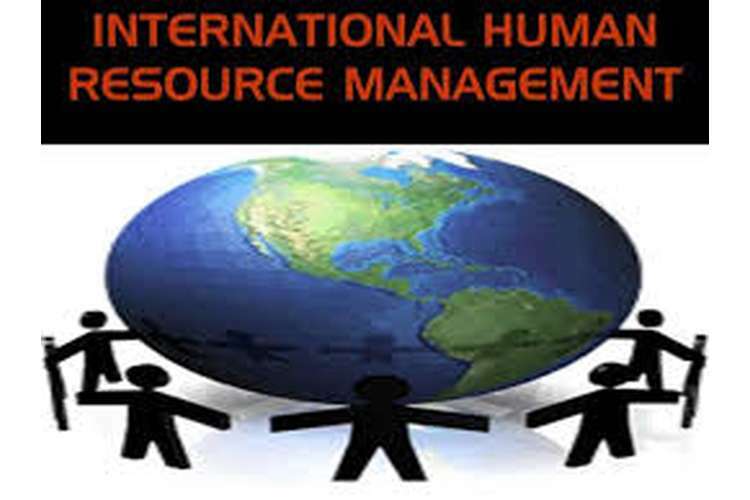 In the above pages it is seen that International HRM or IHRM is actually an extension of domestic HRM and is required to perform similar functions as that of domestic HRM except in international contexts. The points where in IHRM differs from domestic HRM are different countries in which the company operates and the different types of people who work with the company. In the literature, it is found that there are typologies, which talk about the changing nature of HRM over a period. Modern day typologies related to IHRM are found to vary with the scope of industrialization. In the context of increasing internationalization of MNC, the issues that find prominence are standardization versus customization. 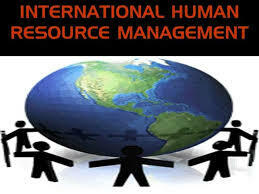 IHRM is found to play a very important role while trying to provide solution to the various problems that a MNC face. One of the issues with the MNCs is a lack of qualified managers at all locations in which the company operates. The problem has its origin in lack of managerial ability and ethnocentricity. The new multinational companies find these to be amongst the top most problems and they can effectively ride over these problems by following in the footsteps of certain companies like Unilever and IBM. Farndale, E., Paauwe, J., Morris, S.S., Stahl, G.K., Stiles, P., Trevor, J. and Wright, P.M., 2010. Context?bound configurations of corporate HR functions in multinational corporations. Human Resource Management, 49(1), pp.45-66. Farndale, E., Scullion, H. and Sparrow, P., 2010. The role of the corporate HR function in global talent management. Journal of World Business, 45(2), pp.161-168. Guest, D.E., 2011. Human resource management and performance: still searching for some answers. Human Resource Management Journal, 21(1), pp.3-13. Jiang, K., Lepak, D.P., Hu, J. and Baer, J.C., 2012. How does human resource management influence organizational outcomes? A meta-analytic investigation of mediating mechanisms. Academy of management Journal,55(6), pp.1264-1294. Lengnick-Hall, C.A., Beck, T.E. and Lengnick-Hall, M.L., 2011. Developing a capacity for organizational resilience through strategic human resource management. Human Resource Management Review, 21(3), pp.243-255. Quelch, J. A. and Bloom, H., 2016. Ten Steps to a global human resources strategy. [ONLINE]. Available at < http://www.strategy-business.com/article/9967?gko=db7b9 > [Accessed 26 September 2016]. Scullion, H. and Collings, D., 2011. Global talent management. Routledge.